May 29, 2018, 10:26 a.m. Traditionally — as much of a tradition as there can be in the online analytics world — people accessing sites via mobile has mostly meant people arriving from social media. But now, post-Facebook algorithm changes, the number of mobile readers visiting news sites directly has surpassed the number visiting from Facebook. This less-traffic-from-Facebook trend goes beyond mobile, though. 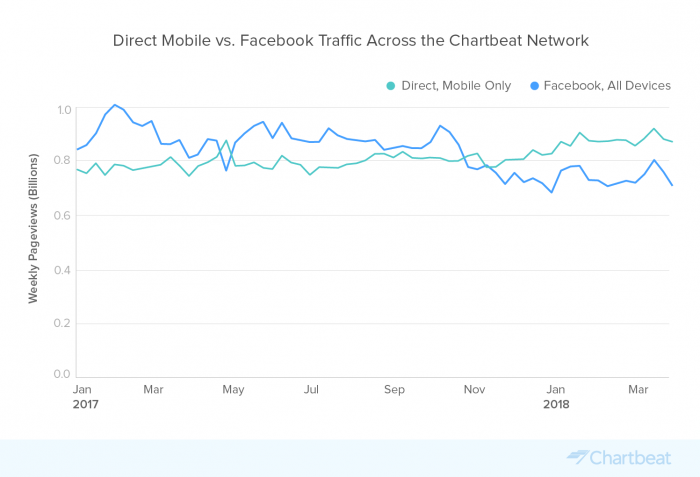 Facebook’s referral traffic across all devices has dipped below direct traffic only on mobile. 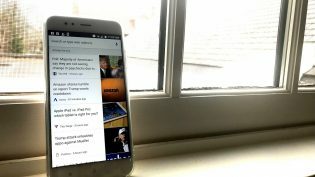 Google Chrome recommendations on mobile have been growing significantly, as Chartbeat’s CEO explained earlier this spring. It’s now the fourth largest referrer in Chartbeat’s data, after only Google Search, Facebook, and Twitter, ballooning 2,100 percent in 2017. Basically, mobile traffic to news sites doesn’t have to dry up because Facebook is shifting its users’ attention elsewhere. But now the stakes of taming multiple algorithmic beasts at once is even higher. Schmidt, Christine. "Mobile visits are still rising for news sites, even without Facebook’s juicy traffic, according to Chartbeat data." Nieman Journalism Lab. Nieman Foundation for Journalism at Harvard, 29 May. 2018. Web. 20 Apr. 2019. Schmidt, Christine. "Mobile visits are still rising for news sites, even without Facebook’s juicy traffic, according to Chartbeat data." Nieman Journalism Lab. Last modified May 29, 2018. 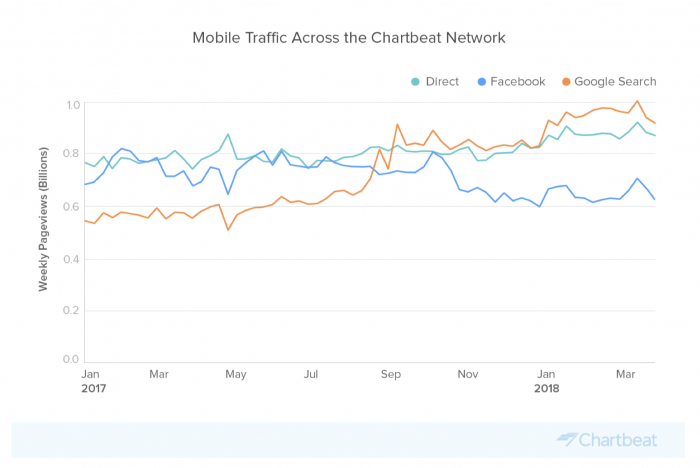 Accessed April 20, 2019. https://www.niemanlab.org/2018/05/mobile-visits-are-still-rising-for-news-sites-even-without-facebooks-juicy-traffic-according-to-chartbeat-data/.